I don't go to the north of Manila for just any reason, whenever I do, I make sure it must have been important. Saying that, I dragged my daughter and asked my husband to drive us to Robinson's Galleria. 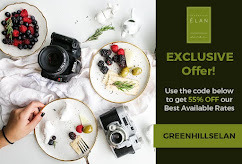 A long time ago, I used to frequent the area, as I would usually go to Greenhills for my tutoring work and would hang out at the mall for some window shopping. But because of the horrendous traffic, driving up north can mean like an excursion, worst being parked for over an hour at a highway, that is EDSA. 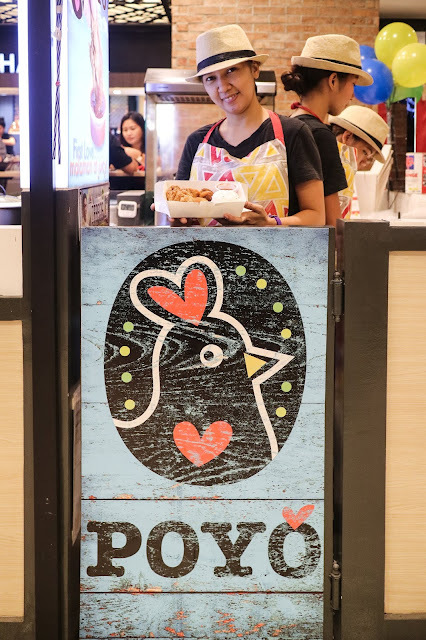 Let me just say, this excursion was quite a rewarding one, as we were able to discover a new food kiosk in Robinsons Galleria serving really good fried chicken. 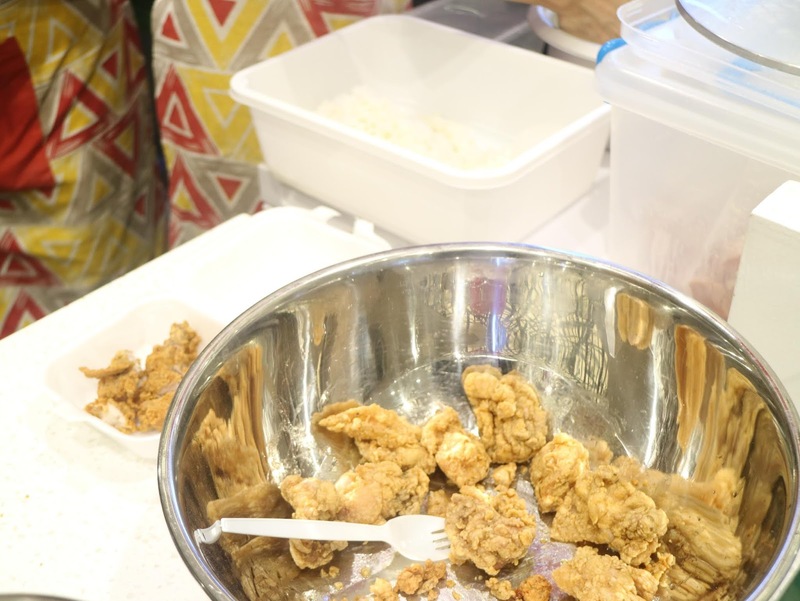 There would be times that I would cook, what my kids would say THE best fried chicken (probably just to patronize my cooking) but nothing beats fried chicken prepared with passion and perfectly crisp-fried by someone else, but equally passionate about serving only the good stuff. 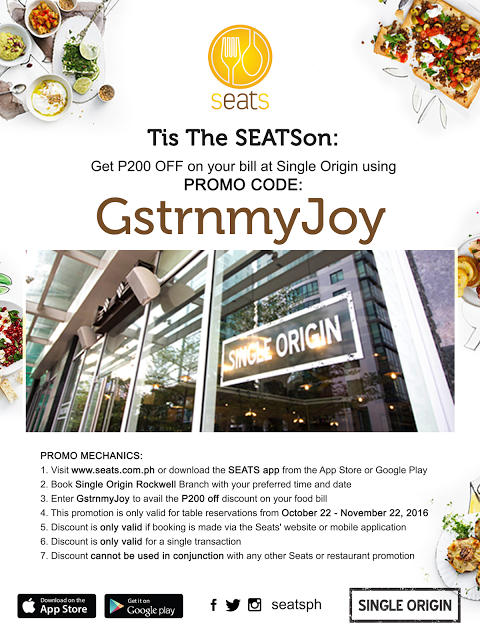 Let us warmly welcome the only Dominican Republic-inspired food in Manila. Arriving for lunch, it took me sometime to find the kiosk, it's near the being renovated McDonald's and Inihaw, I can quickly assess the warm welcome of the diners to the new-comer fried-chicken menu. I was even surprised to have overheard one diner come up to a tall Caucasian guy who stood near Poyo, saying good things, suitable worshiping words for their fried chicken. 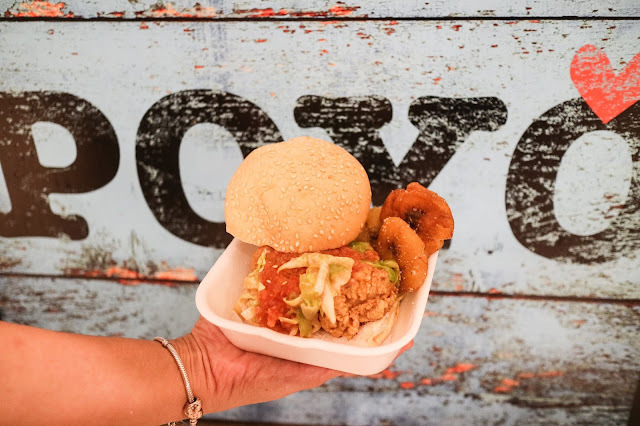 "poyo," which means chicken in Spanish. They are selling Pollo Frito, a staple among locals of Dominican Republic, but given tweaks to cater to the Filipino palate. It's not your ordinary fried chicken. For one, it's boneless chicken meat marinated overnight with lemon (or calamansi), soy sauce and some spices. Drenched with their bespoke meat rub, the chicken meat is covered in batter and then deep fried under controlled temperature. 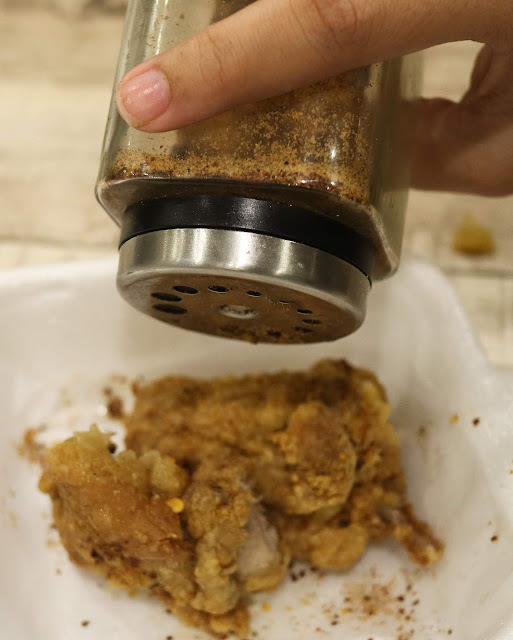 But before the pollo frito is served, it is once again treated with their secret powder seasoning. The flavor of the chicken is somewhat Mediterranean in style, along with the spices that may have been added to the mix. I love that it is not that salty and the meat itself is flavorful and juicy. The batter, crisp to the bite is enough just to add and coat the meat with flavor. However, if you want it spicy, you can ask for their spicy powder seasoning, heavy in cayenne and Spanish paprika. To enjoy it, you can either order it with rice, on it's own, in buckets or as a sandwich. The story of this kind of chicken dish goes all the way from DR's food history. It is said that this kind also called Pollo chicharones actually originated from a Chinese recipe, where a Chinese who lived in DR sold chicken cooked this way. It is served with tostones, fried plantain bananas, but in Poyo's case, it's saba bananas. For P 90 only indulge in 3 Poyo Frito Combo with rice and 3 tostones and a choice of dip. 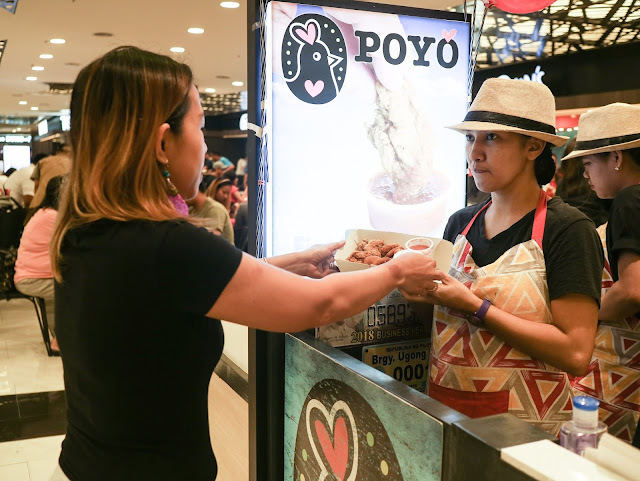 You can choose from Poyo secret sauce or Salsa Roja (mild spice). Get 4 pieces of Poyo frito and 4 pieces of tostones, 2 regular dips and rice for only P120! What a steal? Right! Best to have it for parties or to be shared over a big bunch of friends and colleagues, Get the bucket of 32 Poyo Frito, 32 Tostones and 4 large dips for only P 850 and 16 Poyo Frito bucket with 16 tostones and 2 large dips, for only P 450. While my husband and daughter dearly scoffed off their combo meals, I got to enjoy it with a sandwich. 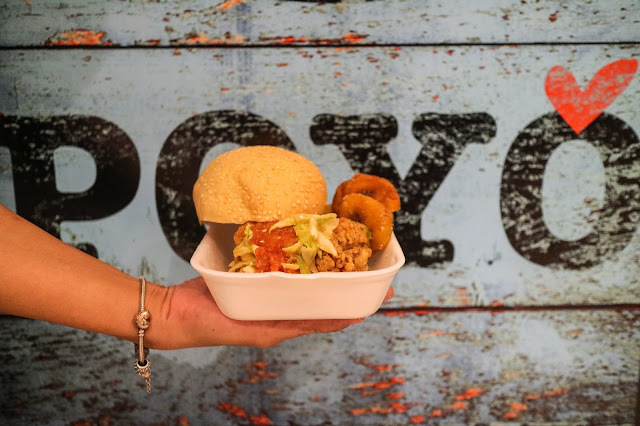 In between a soft bun are 3 pollo frito with fresh greens and their zesty salsa, also served with 3 tostones and a dip. It was one chicken sandwich I won't forget because it's totally delish, better than any franchise; chicken burger or sandwich, and hear this, only for P 110. 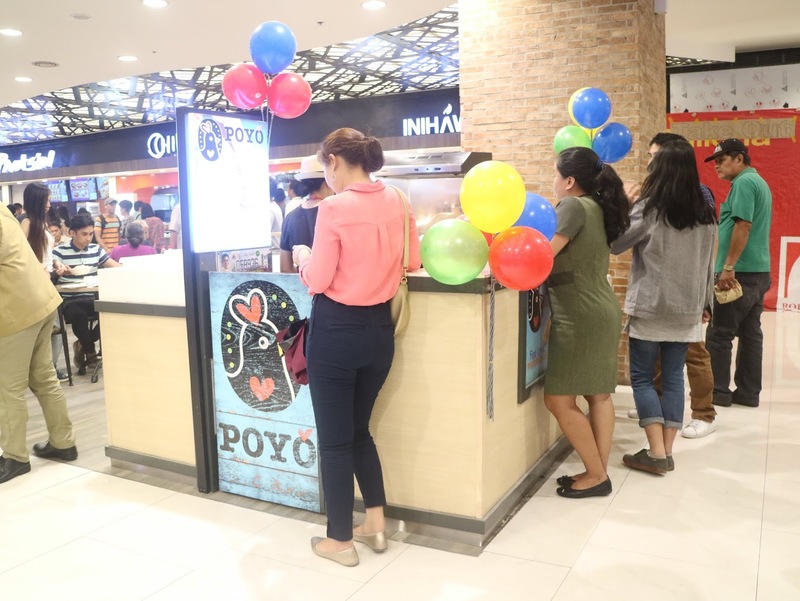 Going to Robinson's Galleria might be rewarding after all, so I guess, I won't be hearing myself complain again, a stop at Poyo can just chase all those traffic concerns away. Anyway, my daughter will love me more if I bring her with me or bring home some for them. Wow!!! 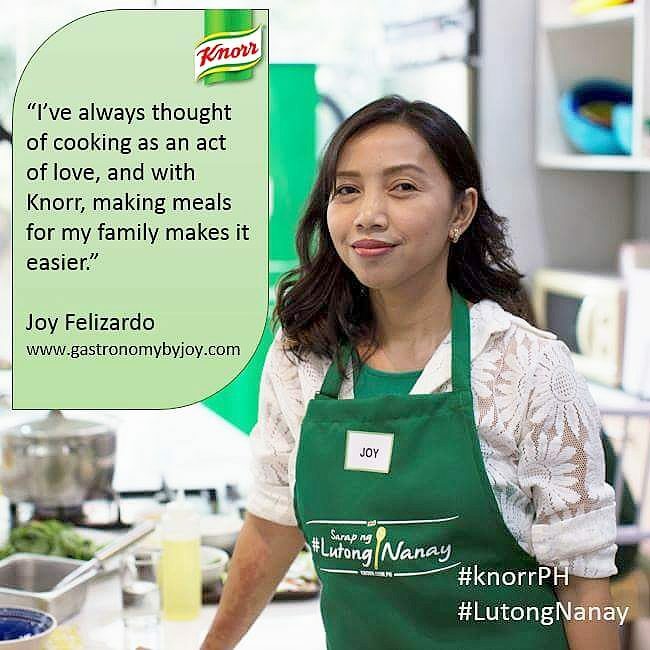 Mukhang masarap po madam... Mapuntahan nga po yan one of this days at ng matikman.. Haist... nagutom tuloy ako..
Wow poyo. Mukhang masarap yung foods nila tsaka cripy looking yung fried chicken. Sayang wala pa dito nyan sa area namin gusto ko sana itry. Thank you po sa pag promote ng business nila kung di dahil sa blog nato di ko makikilala yung business nila. 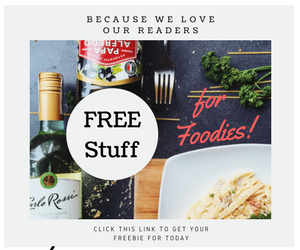 July Blog Giveaway Winner ! ! !